Norway’s Olympic medallist Heidi Weng couldn’t beat her. Nor could American ski icon Kikkan Randall. On Sunday, in Davos, Switzerland, Dahria Beatty was just that fast. Skiing at the speed of northern light, the Yukon product had the best race of her young World Cup season, placing 25th in the skate sprint to lead the Canadians. Feeling comfortable in the high mountain town, Beatty laid down the 27th fastest time of the day in her qualifier, and moved up to 25th in the heats. Her best result to date on the World Cup was a 12th place finish last season in Canmore, however the competition was arguably stiffer in Switzerland. “I skied a strong race from start to finish today in the qualification and was really happy to be able to keep my focus all the way through. The quarter was fast-paced and I did my best to stay with the leaders. I didn’t have enough juice to go on the second lap, but managed to move up two places by finishing fifth in my quarterfinal,” Beatty said. The race was a breakthrough result for Beatty, who was aiming for a top 30 in Davos. After a few weekend growing accustomed to all world speed, the 22-year-old gained the confidence required to match strides with the best. Beatty is widely considered the best female sprinter in Canada, and proved as much in Switzerland. 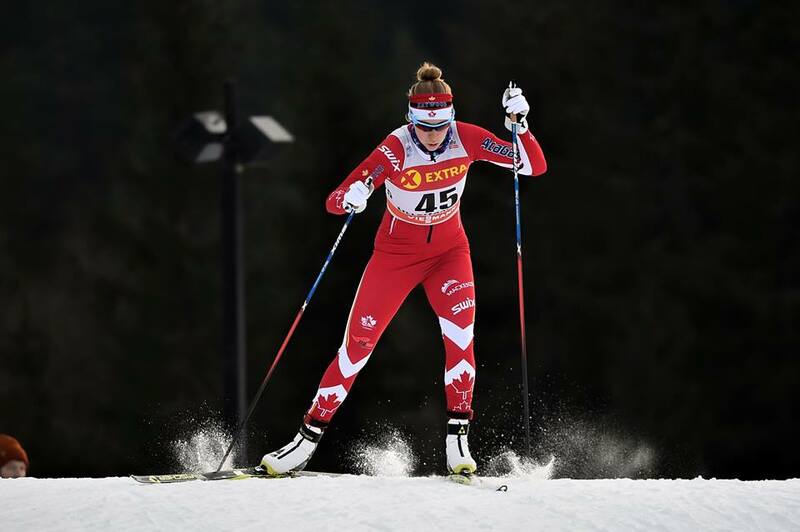 Following several successful NorAm seasons, a 15th place finish at world juniors and nine Canadian National titles, the World Cup was the next step for the talented sprinter. An academically-gifted student and naturally-talented athlete growing up in Whitehorse, Beatty has reached the national championship level in four sports: skiing, basketball, soccer and orienteering. Alberta World Cup Academy coach Chris Jeffries said he was pumped to see Beatty succeed. The two have worked together for five seasons, and knew this step was possible. Her work is far from over, as Jeffries said Beatty will come home after the France world cups, where she will prepare for U23 World Championships in Park City, Utah, and potentially World Championships in Lahti, Finland. She still has a long journey to reach her goal, as the top women were still four seconds faster than her in the qualifier. 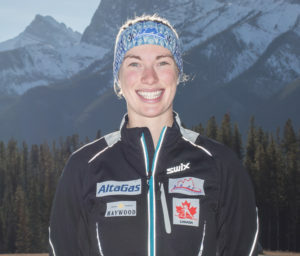 Although she is renowned for her sprinting, Beatty also had a strong result in the 15 km skate race, where she finished 42nd, 43 seconds behind fellow Yukoner Nishikawa. Beatty will now race the 10 km in France on Saturday, and join Canada’s relay team Sunday. Partnered with AWCA alumnus Emily Nishikawa, plus Cendrine Browne and Sophie Carrier-Laforte. Carrier-Laforte is the sub for two injured AWCA athletes, Maya MacIsaaac-Jones and Olivia Bouffard-Nesbitt. On the men’s side, Knute Johnsgaard continued to slowly inch up the standings, where he finished 60th, and was ranked fourth among the Canadians. The determined Johnsgaard knows by taking his lumps internationally, he will get faster. “It was not a bad race for Knute. It highlights how hard that level is. He was seven seconds off of first place. It’s a good reminder at that level, you have to fight for every single inch, and then some more,” Jeffries said. Johnsgaard will also return to Canada shortly to prepare for U.S. Nationals, where he will also battle for a spot on Canada’s world championship team.